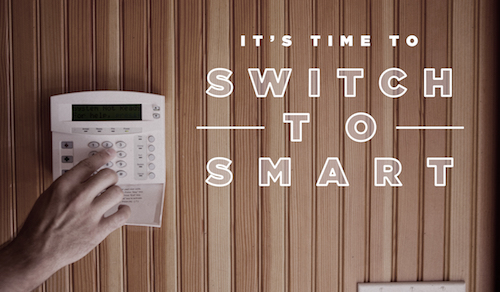 It's Time To Think Smart: The Best Smart Appliances To Consider | OhGizmo! By David Ponce on 06/08/16 • Leave a comment! We live in an age where it’s relatively trivial to include fairly high-tech sensors into common household objects. Not only sensors, but Wifi and Bluetooth radios as well. The added benefit of being able to do this is that formerly independent, non-connected devices can now be hooked up to the Internet, and to each other. As a matter of fact, one of the biggest talking points at this year’s CES was the ‘Internet of Things’, and this simply refers to the idea that we are entering an age where everything around us can be controlled remotely, and interconnected in ways never seen before. The age of the Smart Home is upon us. As part of this trend, normal household appliances are quickly gaining features and abilities not normally associated with such items. In this article we’re going to review some of the The Best Smart Appliances to Consider, from thermostats, to vacuum cleaners, to ovens and washing machines. One of the more famous entrants in this field is the Nest Thermostat and its sibling, the smoke detector Nest Protect. The thermostat is able to learn your living habits, and automatically adjust your home’s temperature to save energy, lowering heating when you’re away, for example. Nest Protect on the other hand can give you more detailed information about potential fires, telling you which room it’s detected something, and whether it’s CO2, or smoke. You’ll even get a notification on your smartphone if this happens when you’re away. The Belkin WeMo Slow Cooker connects to your smartphone (and the Internet) to allow you to remotely control your dinnertime preparations. You can adjust temperature and cooking times, and turn the appliance on or off from the comfort of wherever it is you are. The June Intelligent Oven is able to identify the food you place inside, weigh it, and recommend cooking temperatures and times. You can control everything through a tablet or smartphone, while simultaneously being able to monitor your food’s progress through the integrated camera. One of the oldest characters in this field is the venerable Roomba. But don’t let its ubiquity fool you; the company is constantly upgrading its lines and keeping up to date with all modern tech. The latest, the Roomba 980 has more power, better battery life, and more efficient floor coverage algorithms that allow it to do more with less effort. Through your smartphone you’re even able to set cleaning schedules so it doesn’t get in your way while you’re home. Finally we take a look at washing machines. LG is one of the front-runners in this category, and they’ve made an especially impressive product with the Smart ThinQ™ 4.7 cu. ft. Ultra Large Capacity High Efficiency Top Load SmartWasher. It allows you to “monitor your laundry remotely and download new and improved cycles. The Smart Grid Ready feature automatically runs the washer when electricity rates are lowest.” Like many of the products featured here, all this is accessed and controlled through your mobile device. You guys can find out more about Nationwide by reading their In The Nation blog.